My daughter, Maricelle, turns 26 today and I sit here writing my traditional birthday blog. This one is special as she just returned from a pilgrimage in Spain last month. It was a trip she almost kept from me knowing I'd be worried about her backpacking solo in Spain. 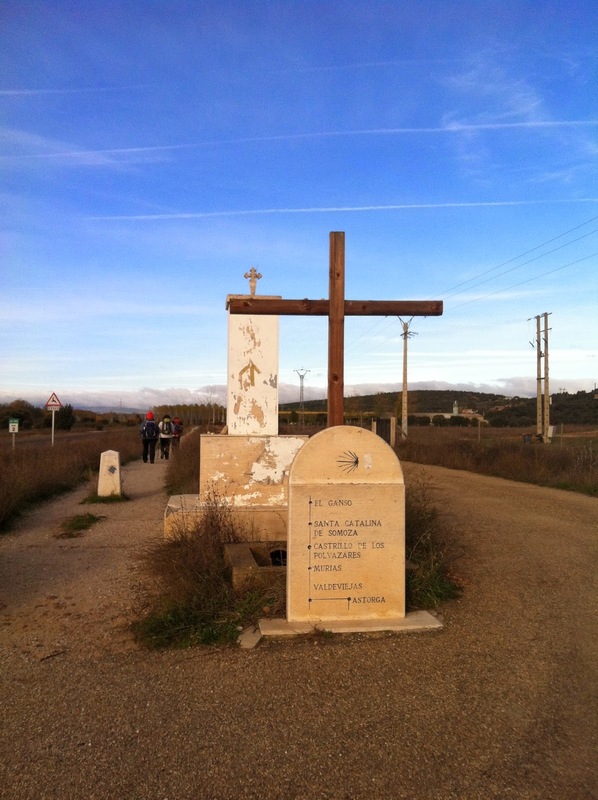 I've never heard of the Camino de Santiago or the movie, The Way, until my daughter embarked on this trip. Not many people have the courage to go on a pilgrimage in a foreign country alone and as worried as I was for her safety, I knew she was living her life. What more could this mom, who put her dreams on hold, ask for? While you were on your life-changing trip I had a discussion with Auntie Lu. One of her co-workers mentioned how an ultrasound is indicative of a baby's personality. I was reminded of my first ulrasound when I first saw you on a gray screen, a tiny alien looking creature doing somersaults in the womb. While the lab tech moved the ultrasound wand over my bulging belly you didn't stop turning around and around. I should have known then that you were going to be the adventurous travelista you are now. 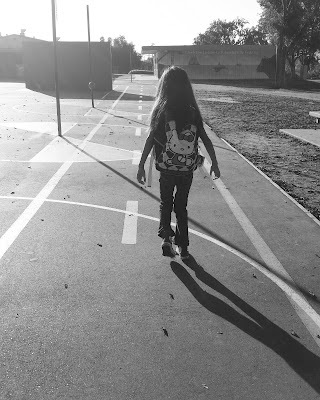 Your "camino" also helped me learn a few things about life and relationships and courage. When you came to visit and shared your travel photos, we talked about how the camino doesn't end when you return home, because life mimics the camino. This year my only prayer for you is that you maintain the spirit of the camino in your daily life. I know how it is to travel abroad, finding yourself and coming to terms with the turmoil inside of you, only to come home feeling dissatisfied with the status quo. Remember when you met your friends along the camino and all of them spoke a different language but somehow you all fell into a comfortable rhythm? Don't forget that when you're dealing with difficult people in your life because they too speak a different language in silence. Or, how about when certain people would accompany you on your walk for a while, go your separate ways, only to join you later in the walk? Well, get used to it because life has a way of bringing people in, out, then back in again. Each person holds a lesson for you to discover and learn from. I hope you remember to give yourself the same grace you allowed yourself when you got lost in a foreign country and on your walk. Isn't it funny how God places those same yellow arrows in our path, yet, sometimes we fail to see them? I believe we are meant to lose ourselves sometimes because finding the truth in us will make more of an impact. Just like you did on the camino, lead from your heart. Remember that one moment when you were dying with thirst, hunger, and fatigue, doubting whether you'd make it to the top of the hill? Yet, you persevered and found yourself in the most peaceful, breathtaking, mountaintop, singing and dancing like Maria in the Sound of Music. There will be some days like that but your heart will always lead you to the top of whatever mountain you face. You developed a positive outlook on your pilgrimage and found ways of turning a negative situation into something good. Keep that up in your own life and you will become adept at handling adversity and roadblocks. Adventure and enlightenment don't end when you complete your camino. I guarantee that you'll be learning truths about yourself until your last day on earth. Thank you for writing my word "eternity" on the rock for me and leaving it on the camino. One day I plan on traversing the same path and finding that rock. If not, it's okay. I know where eternity awaits my presence. May your 26th year be a full one. Accept that the bad always comes with the good. Give yourself permission to feel your emotions and acknowledge them. Embrace your growth, hone your self-awareness, practice mindfulness, discipline yourself in meditation, saturate your life in prayer.